Mammoth and the Eastern Sierra are in that glorious fall wind-down, and the deals are hot. Mammoth and the Eastern Sierra are in that glorious fall wind-down, and the stay-over deals are hot. JUST YOU AND THE MOUNTAIN: Saying that you need to commune with a particular peak or be one with the mountain? That is often heard during the wintertime, when lots of people are on the slopes, out in the brisk air, and enjoying the icy pleasures of the coldest season. But maybe, just perhaps, becoming one with the mountain, or truly connecting with nature, is something that can be done on the off-season, where the rush is little less rushy and the vibe is not so go-go but more like go-rest. And if there are deals to be had, while mountain-connecting and nature-knowing? It makes the whole quick getaway plan even easier. And that's just what is happening around Mammoth Lakes, just ahead the opening day at Mammoth Mountain, at least at some of the bed-down-for-the-night spots. Hoping to catch the tail-end of fall color, or at least soak in that autumnal crunch-crunch as you hike through fallen leaves? 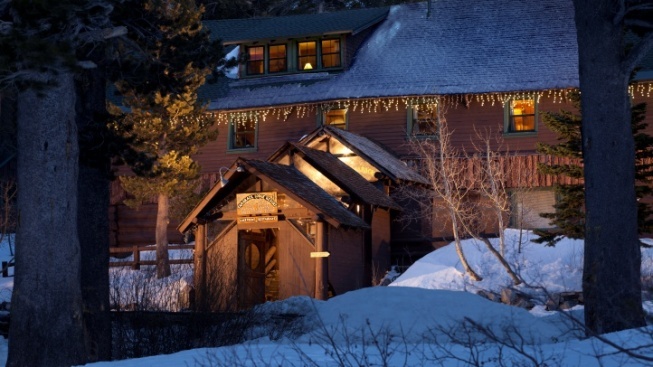 TAMARACK LODGE, the historic, woodsy getaway that includes a host of well-appointed cabins, is offering 60% off peak season rates. If you want to slip in for a night, it may start at $71.20, with a few asterisks. The Westin Monache Resort, Mammoth has rooms kicking off at $169, meaning that a full 50% has been shaved off the peak season rate of $324. Or are you feeling the charms of Old Mammoth Road, and the re-gussied-up Sierra Nevada Resort & Spa? Sixty percent has been lopped off peak season, bringing an off-season night to $129. The trails around the area are not-so-packed with warm-weather hikers, the lakes and creeks are showing fewer anglers, the leaf-peepers are starting to bid adieu, but the skiers haven't yet arrived. Why not go? Start here, to find your mountain, off-season idyll.